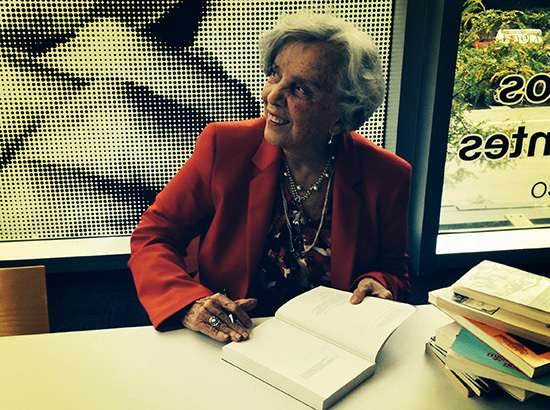 Elena Poniatowska, famed Mexican journalist, autographs a copy of her book during a visit to Chicago in October. The book chronicles the massacre of hundreds of student protesters by the Mexican army in 1968 and gathers the voices of witnesses. The students were killed in Mexico City just days before the city hosted the Summer Olympics, and during a time of worldwide student revolts. I was 16 when I first read the book by pioneering Mexican journalist Elena Poniatowska. It was many years after the massacre. I didn’t really understand what a journalist was. But I felt the power of the words. The book was one of the few reports that contradicted Mexican authorities’ official story about the killings. I was moved. A few years later, I read Poniatowska’s “Hasta no verte Jesus mio” or “Here’s to You, Jesusa!” The book is about a working-class Mexican woman who witnesses some of the most important events of early 20th century Mexican history. Jesusa was a soldadera toward the end of the Mexican revolution in the 1920s—cooking and working for Mexican soldiers. After reading the book, I knew I wanted to be a journalist. I wanted to write about people like Jesusa. At 81, Poniatowska has more awards than she can count, but she is humble and funny. And she often shares stories from her friends, famed Mexican writers Carlos Fuentes and Juan Rulfo. 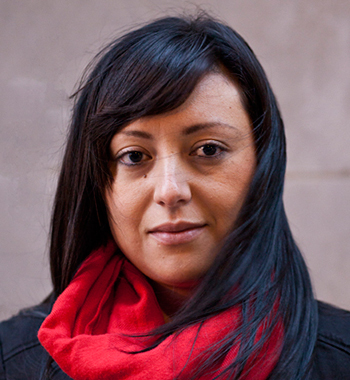 She’s a pioneer in journalism because as a woman she broke away from writing for the social pages, and as a journalist she did something few of her peers were doing: writing about poor Mexicans. She inspired me as a teenager, and she continues to inspire me today. It wasn’t always that way. When Poniatowska started her journalism career in 1953, she worked for the features section of a newspaper, writing about society and entertainment—not because she wanted to, but because those were the only topics women were allowed to cover. Breaking the gender barrier was greater in a country without freedom of the press. “In the newspapers of my time, we couldn’t write about many things,” she said, adding that covering the underclass was not allowed because government officials said it gave the country a bad image. 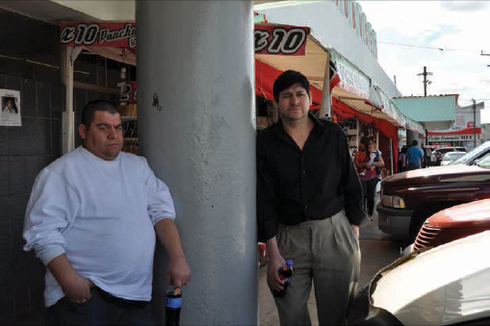 “I started to interview the poorest Mexicans, the Mexicans without possibility. I met Jesusa Palancares [from the book “Here’s to You, Jesusa!”] the soldadera who was in the Mexican revolution,” she said in Spanish during a news conference at Instituto Cervantes. I looked down at my notebook, as I quickly took notes. I realized that the journalism Poniatowska described is just the type of journalism I’m doing now, and I wouldn’t trade it for the world.